Featured Character/s: Marvin The Martian. 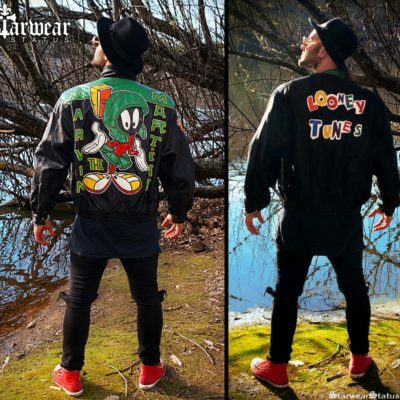 “Imagine rocking up to your next VIP Event, Stage Show, or Music Video wearing this BAD BOY!! 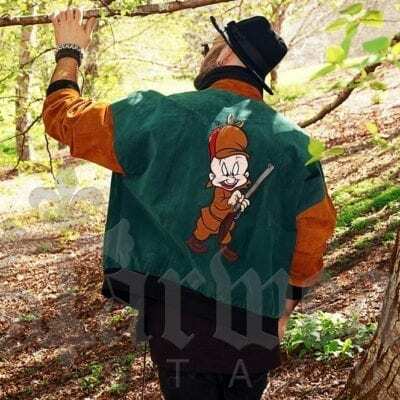 ?” Wearing this is an extremely cool way to bring something different yet tasteful and iconic to the eyes of many Fashionistas or anyone who of course loves “LOONEY TUNES!”…. Featured Character/s: Bugs Bunny / Elmer Fudd. 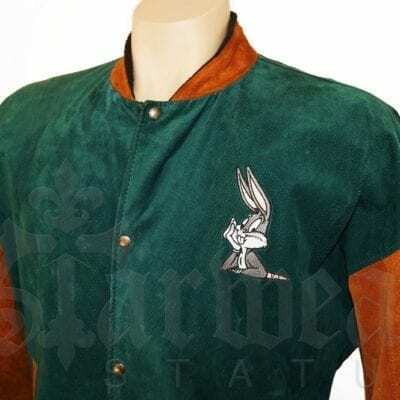 Material: 100% Genuine “Full Suede Leather!” with Plaid Inner Liner. Pockets: TWO POCKETS, BOTH SIDES, THE JACKET HAS WAISTBAND FLEXIBILITY FOR THAT TAILOR FIT! 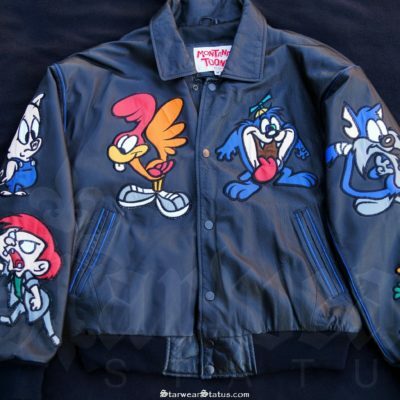 JH Trademark: Similar in Design to that of Jeff Hamilton His Designs range from the NFL, NBA, NHL, MLB to all Entertainment licenses such as Warner Bros. and Disney. **SUPER RARE! 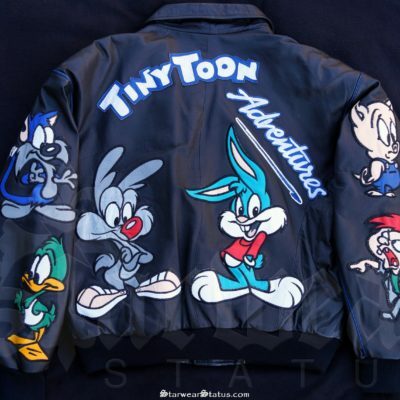 ** 1990’s VINTAGE TINY TOON ADVENTURES ‘Warner Bros’ Cartoon CHARACTER Leather Bomber Jacket.